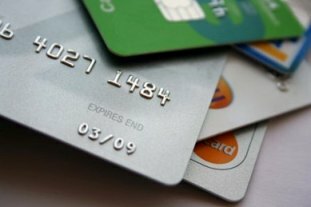 Aplia Econ Blog: News for Economics Students: Debit or Credit? As an economist and beloved shopper, I shudder in disbelief at how many credit-card owners still purchase items with their debit card. Assuming that you have a debit card and a credit card that is not maxed out, I present the following economic argument for why you should choose to use your credit card over your debit card. The classic rebuttal I get to this argument is, "People are not responsible; they simply charge things without keeping track until their bill comes in." But how sound an argument is this? When you use your debit card, you still need to maintain a positive balance in your checking account so you don't overdraw and incur any fees. It only takes a little more effort to keep track of credit card purchases if you get into a routine of noting expenditures. For example, you could do the following: Upon making a purchase, set aside the purchased amount into a separate interest-bearing checking or savings account (which is easy and quick to do thanks to online banking), or track purchases in a spreadsheet or program (also easy to do with programs such as Microsoft Excel or Microsoft Money). Another common response I hear is, "Some people keep a high balance on their credit card." When you use a debit card, the money is automatically withdrawn from your account. So the existing balance on your credit card is irrelevant when deciding whether to purchase the next item with either debit or credit since using your debit card would imply you have the cash on hand to buy it. Even under the assumption that there is some cost to tracking expenses, there are still three significant reasons why you should use your credit card over your debit card. where r is the interest rate over the time period in question. Since your debit card requires you to pay for the good today while the credit card allows you to pay for the good in the future at the same nominal price, economically you are better off letting the payment value collect interest until the balance is due and then paying off the balance. Although debit cards are beginning to offer more competitive rewards programs, credit card companies typically still offer more diverse and appealing options such as cash back, miles, and points programs. Last, the use of debit cards does not contribute to your credit rating. The responsible use of a credit card is a significant way that you as a consumer can build credit and improve your credit rating. 1. Why are some consumers unable to qualify for a credit card? Is their inability to qualify a good signal of their financial well-being? 2. How do rewards programs affect the bottom line of a credit card company? How can they afford to offer such incentives? 3. What kind of rewards would induce you to pay for something immediately rather than in the future by using your debit card over your credit card? 4. One argument for the use of debit cards is the option to receive cash back with your purchase if your bank's ATM is not near by. How does this affect your choice to use you a debit or credit card?